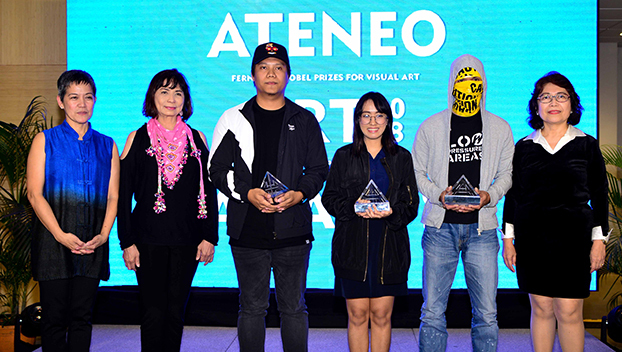 The Ateneo Art Gallery announced the winners for the Ateneo Art Awards 2018. 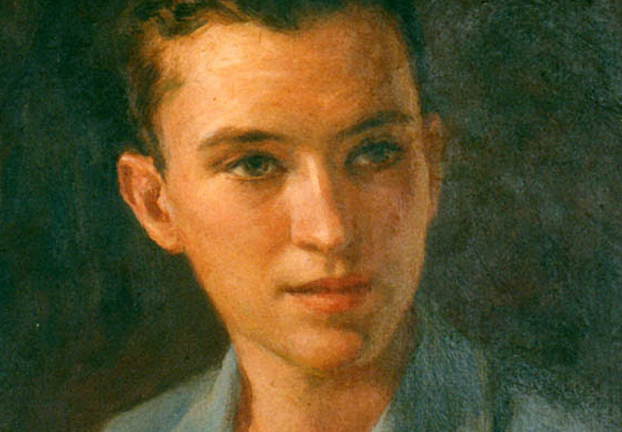 Three (3) winners were chosen by the jury for the Fernando Zóbel Prizes for Visual Art. 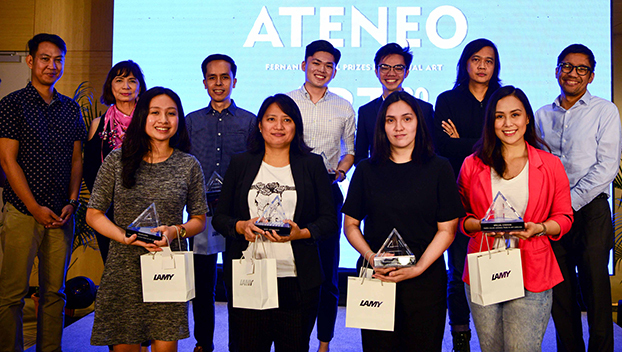 From the twelve (12) shortlisted artists, the winners are Ronson Culibrina for his solo exhibition Talim held at Blanc Gallery; Johanna Helmuth for her solo exhibition Makeshift at Blanc Gallery; and KoloWn for his solo exhibition Low Pressured Areas held at the Cultural Center of the Philippines. 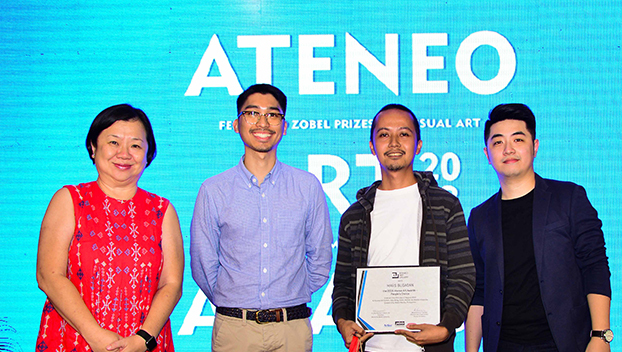 All three winners receive a grant from Ateneo Art Gallery’s residency partners. With his charcoal and resin works, Culibrina takes the residency grant from Liverpool Hope University – Creative Campus in Liverpool, United Kingdom. KoloWn receives the residency grant from La Trobe Art University in Bendigo while Johanna Helmuth has been invited to a residency in Singapore with Artesan Gallery + Studio. 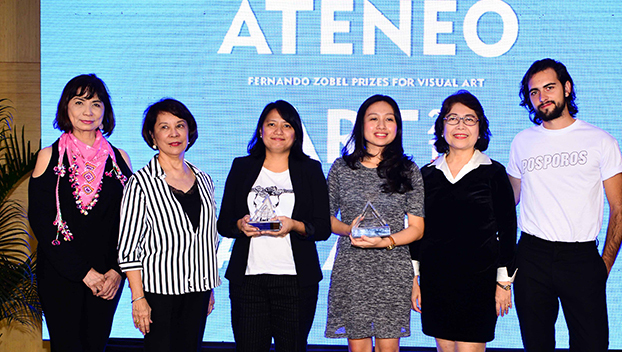 This year marks the beginning of a new prize: the Ateneo Art Awards – Embassy of Italy Purchase Prize. Jel Suarez was selected by the Ambassador Giorgio Guglielmino to be its recipient. Suarez was shortlisted for her exhibition titled Traces By Which We Remember held at West Gallery. 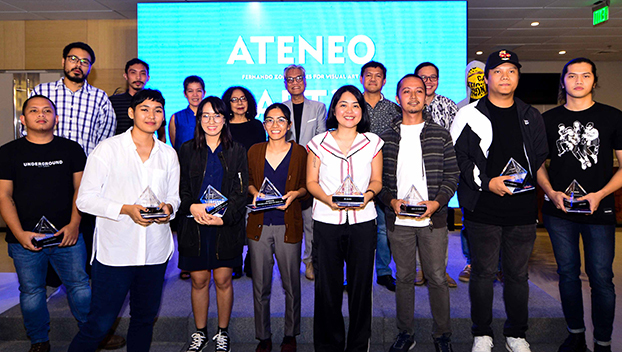 For the Purita Kalaw-Ledesma Prizes in Art Criticism, Alec Madelene Abarro and Mary Jessel Duque were declared winners from the six (6) shortlisted writers. 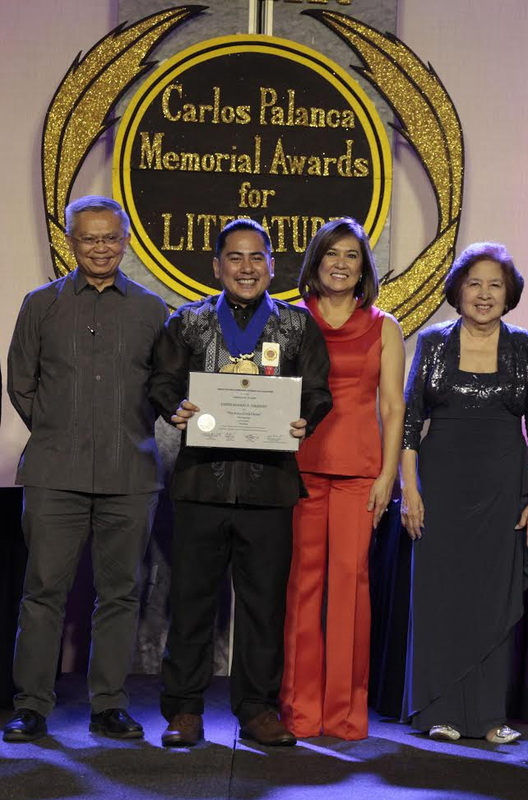 The recipient of Purita-Kalaw Ledesma Prize – The Philippine Star is Mary Jessel Duque for her entry Pacita Abad: A Million Times A Woman, an Artist. She will be contributing to The Philippine Star twice a month or 24 articles in a year for the publication’s Arts & Culture section. Alec Madelene Abarro takes the Purita-Kalaw Ledesma Prize – ArtAsiaPacific Magazine for her essay titled An Organized Chaos: Navigating the Looban. Abarro will be writing a total of six (6) articles for a year in the said bi-monthly publication. Both Abarro and Duque will also contribute to the 8th edition of Perro Berde, an annual publication of the Embassy of Spain and Instituto Cervantes that provides Spanish and Filipino artists, writers and researchers a venue for interaction and cultural dialogue. The essays are set for release on the first quarter of 2019. The Ateneo Art Gallery also launched a People’s Choice poll for the visual arts category. Since the AAA exhibition opened last August 10, visitors were invited to vote for their favorites. Garnering 13.8% of the total votes from 225 visitors, Mars Bugaon receives the People’s Choice Award for his exhibit Becoming held at Artinformal. Bugaoan receives P15,000 worth of art supplies from Artline, Pebeo and Derwent. 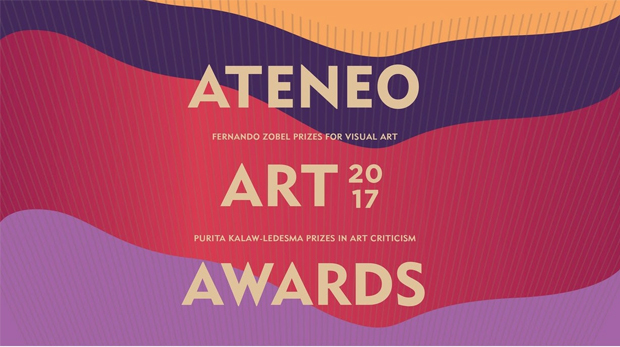 The Ateneo Art Awards is co-presented by Ateneo Art Gallery, Shangri-la Plaza, The Philippine Star, and Kalaw-Ledesma Foundation Inc.; in partnership with Areté, ArtAsiaPacific Magazine, Artesan Gallery + Studio, La Trobe Art Institute, Liverpool Hope University, Metro Society, YStyle, the Embassy of Italy, Embassy of Spain, Artline, Pebeo, and Derwent.